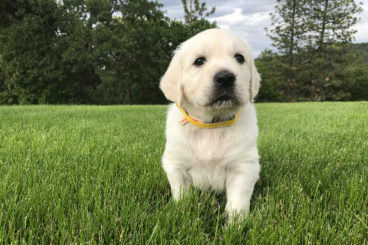 We are proud to announce a new litter of English Cream Golden Retriever puppies born April 25th, 2018 to parents Caesar x Duchess. 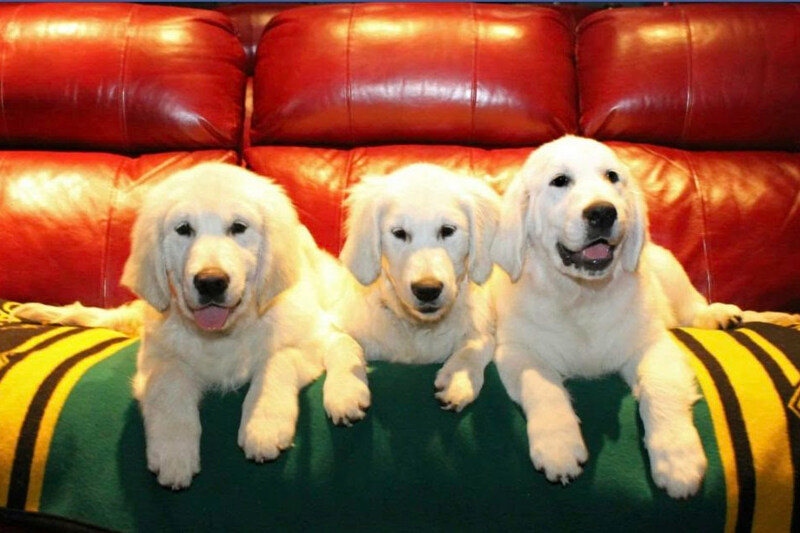 These puppies were born, raised and trained with love inside our home in Medford, OR. For more information on upcoming 2019 litters, please e-mail or call. 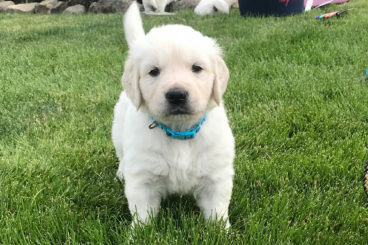 We only average 1 litter per year, so if you are looking for an English Cream Golden Retriever in Oregon, California, Washington or surrounding states, this is your chance to bring home a beautiful puppy with world class pedigree. 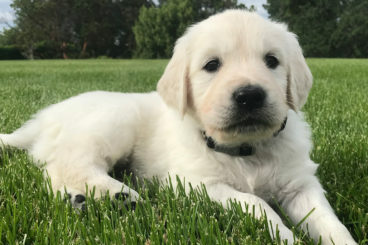 Hill Haven Kennel is a state of the art English Cream Golden Retriever breeder nestled on the slopes of Roxy Ann Peak overlooking the beautiful Rogue Valley, in Medford, Oregon (just a few miles from the California border). 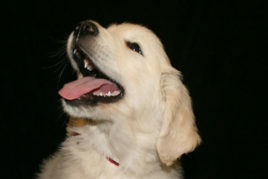 Our ten-acre estate provides a peaceful setting to raise our extraordinary English Golden Retriever puppies. 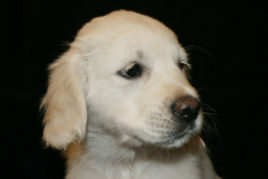 Special attention is paid to the family socialization of all our puppies. Great pride is taken, not only in the conformity with the breed standard by both the American and European Kennel Clubs, but in producing well-socialized dogs that will become a true member of your family. 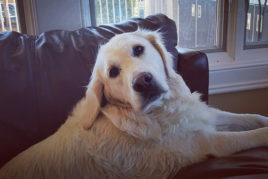 Our AKC and EKC conformed English Golden Retrievers (also known as a White Golden Retrievers or Cream Retrievers) are raised in the home and are used to being around families. 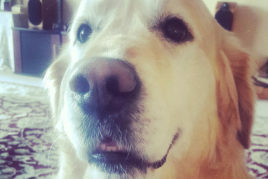 We focus on helping our dogs enjoy being around children, family members and other dogs. 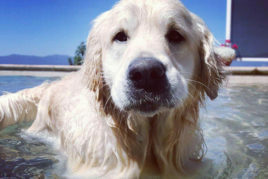 Recognized as one of the top English Golden Retriever Breeders in the United States, our mission is to breed world class quality dogs, in excellent health, with loving temperaments. Welcome to our kennel! 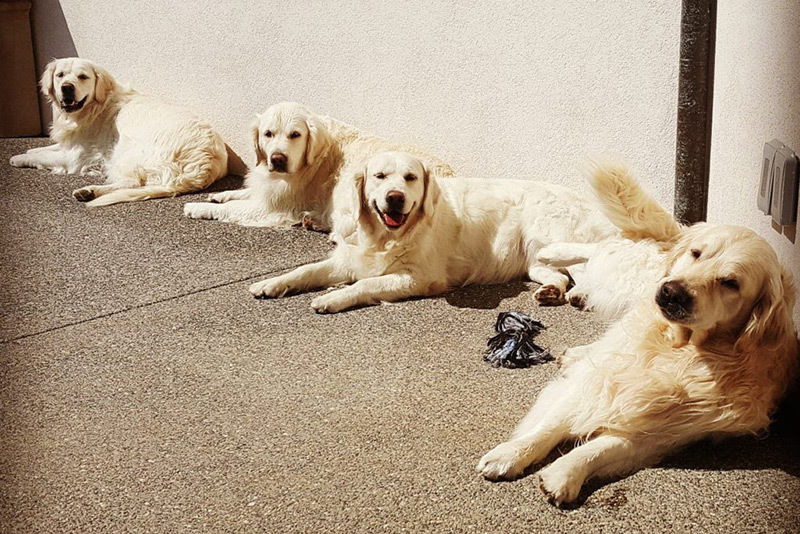 Hill Haven Kennel is a family run English Cream Golden Retriever Breeder located in Medford, OR, just miles away from the California border. 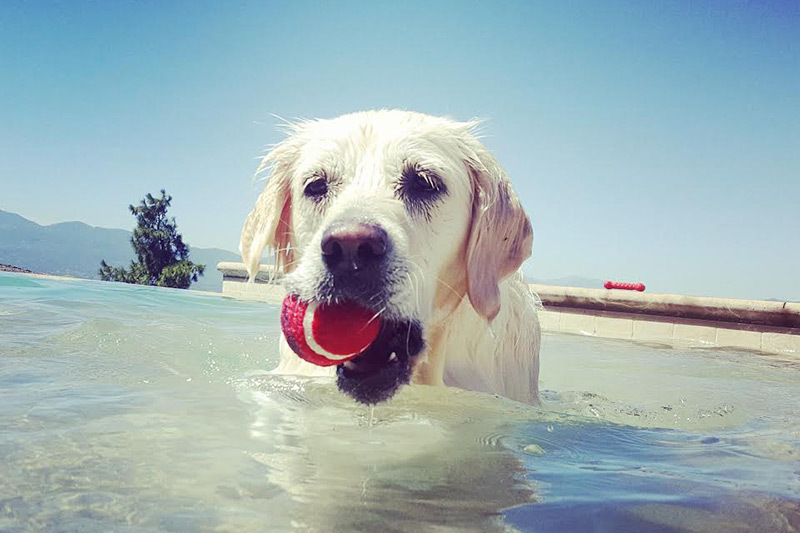 We take tremendous pride in the fact that our English Cream Golden Retrievers come from some of the best pedigrees available. 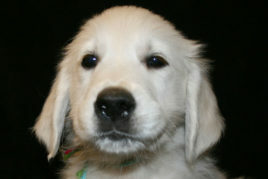 We strive to match only top quality, genetically sound, English Golden Retrievers with outstanding personality traits. After all, puppies are simply a reflection of their parents. We have years of experience, and are constantly researching improving our methods in order to achieve higher and better results. We strive to do everything possible to raise superior dogs. 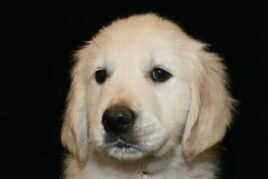 Our ultimate goal being that our puppies of today become tomorrow’s champions. 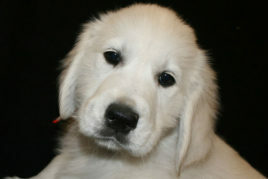 We provide warranty’s for each of our puppies. Additionally, we want to match the personalities of our dogs to your household, which is why our questionnaire might seem a bit lengthy. We believe that if you are going to spend the next 12-15 years together it’s best to invest in the future, today. 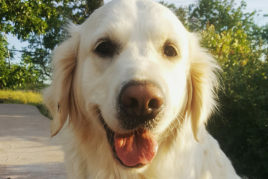 If you are unfamiliar with the English Golden, we have an excellent post on the differences between the English Cream Golden Retriever Vs American. 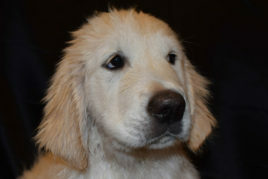 Our AKC and EKC conformed English Cream Golden Retrievers are raised in the home and are used to being around families. 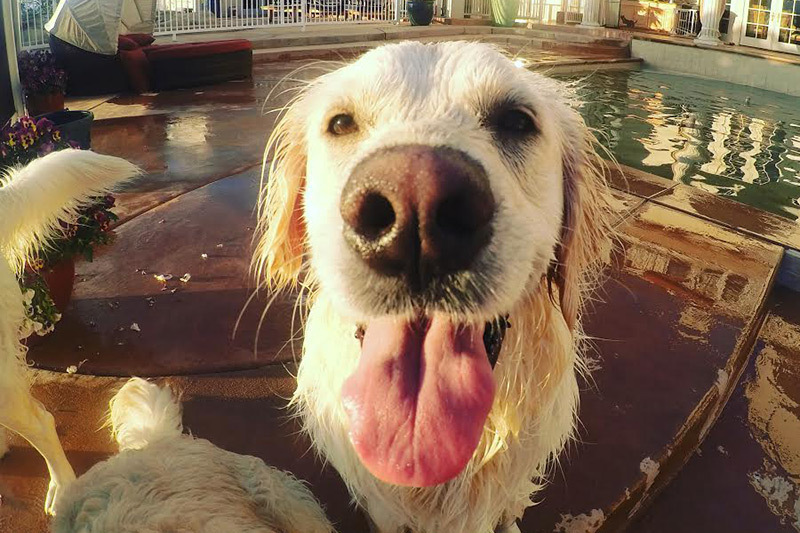 We focus on helping our dogs enjoy being around children, family members and other dogs. 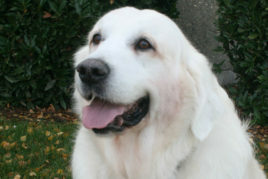 Our mission is to breed world class quality dogs, in excellent health, with loving temperaments. 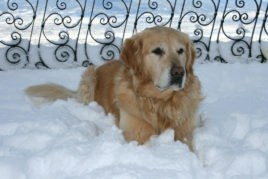 We ensure our dogs and puppies are in top health condition. 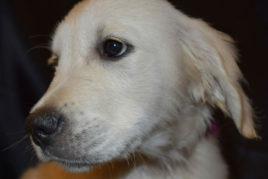 Each puppy is examined by a veterinarian and only leave our home after receiving their appropriate vaccinations. Complete records are sent with each and every puppy. 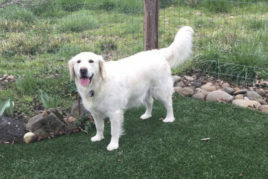 After all, it is important to us that your new family member is around for a very long time and enjoys vibrant health. 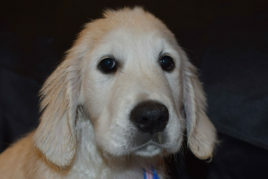 We know a healthy puppy will become a long-term healthy member of your family. 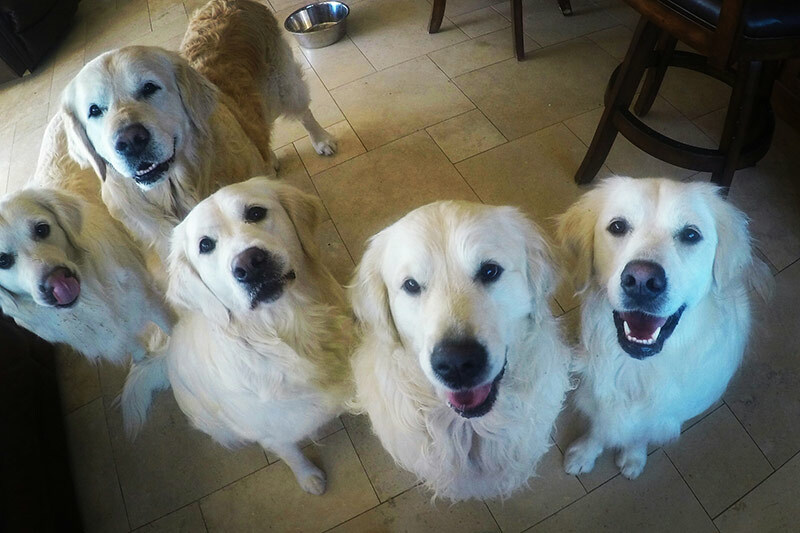 Our family kennel has about one litter of English Cream Golden Retriever Puppies every year (or every other year), depending on our schedules. We are certainly NOT a puppy mill. 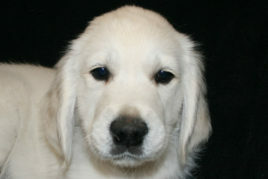 After the birth of our English Retriever puppies, each is weighed and monitored daily. 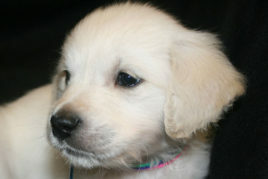 We want each puppy to thrive and develop properly. For a list of milestones and to get a better idea of what to expect from your new puppy, please read our article on puppy development: Puppy Development by Week. Weight: 14.5 oz. She was the first puppy born.